This is my favorite project programming, I launched in 2008 and for various reasons had not been able to complete its first version (1.0-Spanish) until November / 2010, the second version (1.1-Spanish) published it in May/2011, on September 14, 2012 published the latest version 1.2 (Spanish) and October 07/2012 published the first english version King James English version. 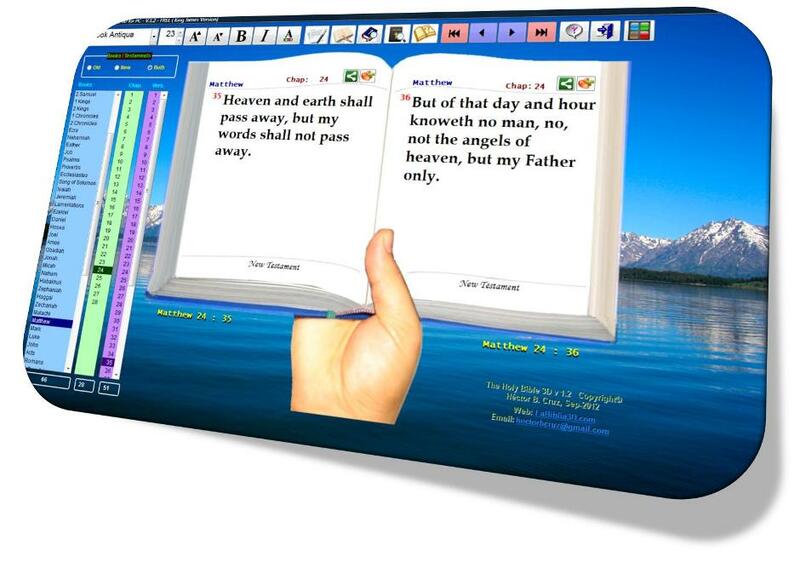 The Holy Bible in 3D for PC, is a program that contains the holy scriptures of the Bible King James Version, and offers the ability to view them in a new way by engaging and interactive and will serve to read the holy scriptures of the Bible a very simple no matter if you are in your home, office or on the road working, all you need is a computer. "I want to clarify that I intend never replace the printed version of the Bible, this is a tool adapted to the new times that will complement the reading of God's word and biblical studies." This is the first version in english of The Holy Bible in 3D for PC. 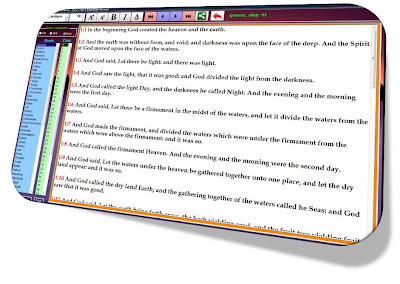 It is designed for anyone and can be useful for daily reading or as a tool for Bible study. My motto for this project is "A Bible for you just a click away" and not designed to profit you can download, copy, give away but should not be for profit directly or indirectly or NOT FOR SALE . Read the Bible verse by verse almost as if you had in your hands. Read the Bible by chapter. You can change the size of the biblical text to suit your convenience. You can change the font that is displayed. You can change the color and highlight text. You can quickly find a bible and read it. Search for words or phrases in the Bible indicating old / new / whole Bible / specific book. Add to favorite biblical quotes then consult or prepare Bible studies. Copy all interesting data to paste them or share them on social networks like Facebook, Twitter, Google+ etc. by means of buttons located next to the Bookmark buttons on each page. Search Dating Bible randomly (as we do when we open the Bible at random). 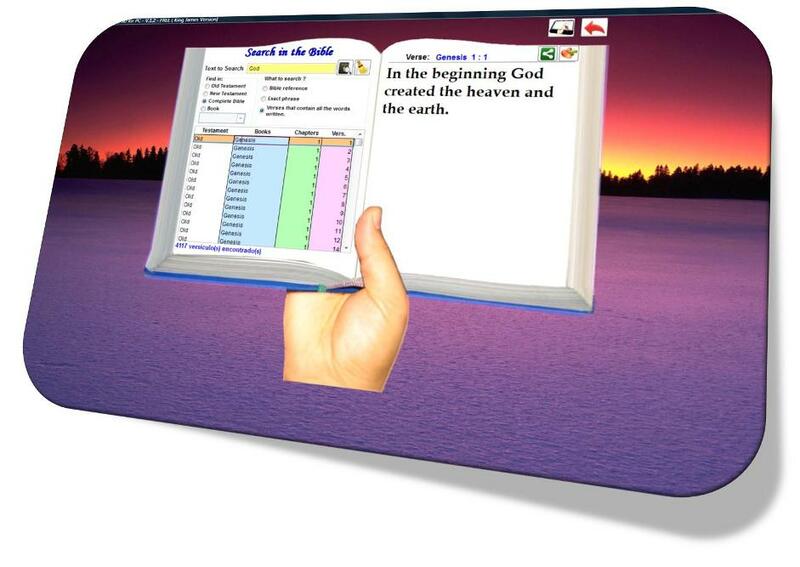 It has a collection of interesting facts of the Bible. You can create your own comments or studies of any quotation or passage and save them for future reference. 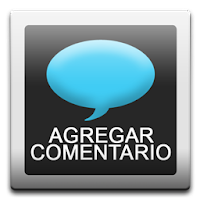 Muchas Gracias Michael por tus comentarios. 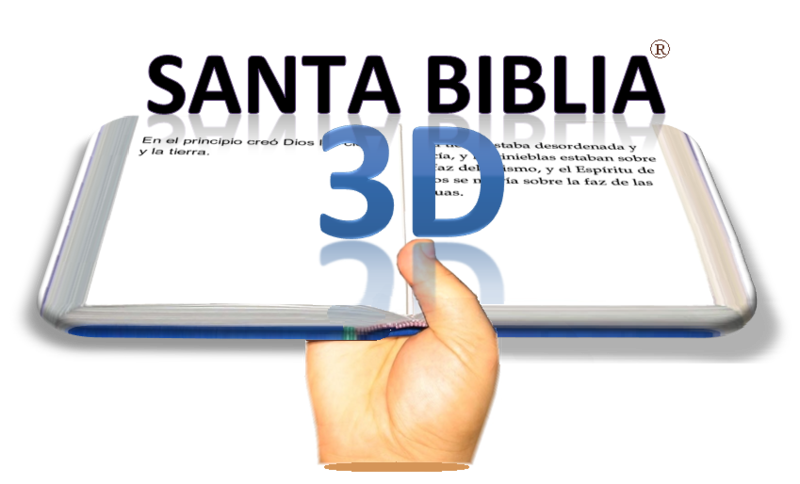 Pronto ya estará disponible una nueva versión de La Biblia 3d 2.0. Hola chico Dios te bendiga no he podido descargarla!!!!! Hola, he actualizado los enlaces de descarga de la versión en Inglés, gracias por reportarmelo.